. . . On A Mission of Contributing Motor Neuron Disease care and treatment options. Motor neuron diseases are progressive neurological disorders which destroy cells controlling the body muscle activities like walking, talking, breathing and swallowing. Normally the messages from your brain nerve cells are sent to nerve cells in the brain stem and spinal cord and from them to the various relevant muscle. If neuron message disruptions occur in those signals, end-results can lead to a slow but steady muscle weakening, wasting away, and out of control twitching. After a while, the bodies ability to control voluntary movement declines and finally will be gone. The motor neuron diseases (MNDs) are a group of progressive neurological disorders that destroy cells that control essential muscle activity such as speaking, walking, breathing, and swallowing. Normally, messages from nerve cells in the brain (called upper motor neurons) are transmitted to nerve cells in the brain stem and spinal cord (called lower motor neurons) and from them to particular muscles. When there are disruptions in these signals, the result can be gradual muscle weakening, wasting away, and uncontrollable twitching (called fasciculations). Eventually, the ability to control voluntary movement can be lost. MNDs may be inherited or acquired, and they occur in all age groups. In adults, symptoms often appear after age 40. In children, particularly in inherited or familial forms of the disease, symptoms can be present at birth or appear before the child learns to walk. The causes of sporadic (non inherited) MNDs are not known, but environmental, toxic, viral, or genetic factors may be implicated. Common MNDs include amyotrophic lateral sclerosis (ALS), progressive bulbar palsy, primary lateral sclerosis, and progressive muscular atrophy. Other MNDs include the many inherited forms of spinal muscular atrophy and post-polio syndrome, a condition that can strike polio survivors decades after their recovery from poliomyelitis. Is there any treatment for Motor Neuron Diseases? There is no cure or standard treatment for the MNDs. Symptomatic and supportive treatment can help patients be more comfortable while maintaining their quality of life. The drug riluzole (Rilutek®), which as of this date is the only drug approved by the U.S. Food and Drug Administration to treat ALS, prolongs life by 2-3 months but does not relieve symptoms. 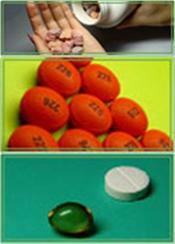 Other medicines that may help reduce symptoms include muscle relaxants such as baclofen, tizanidine, and the benzodiazepines for spasticity; glycopyrrolate and atropine to reduce the flow of saliva; quinine or phenytoin for cramps; anti convulsants and nonsteroidal anti-inflammatory drugs to relieve pain; tranquilizers to help with sleeping problems; antidepressants; and botulinum toxin, amitriptyline, and other anticholinergic drugs to control drooling. Click-here for Health Tip-of-the-Day. Some patients may require stronger medicines such as morphine to cope with musculoskeletal abnormalities or pain in later stages of the disorders, and opiates are used to provide comfort care in terminal stages of the disease. Physical and speech therapy, occupational therapy, and rehabilitation may help to improve posture, prevent joint immobility, slow muscle weakness and atrophy, and cope with swallowing difficulties. Applying heat may relieve muscle pain. Assistive devices such as supports or braces, orthotics, speech synthesizers, and wheelchairs help some patients retain independence. What is the prognosis for Motor Neuron Diseases? Prognosis varies depending on the type of MND and the age of onset. 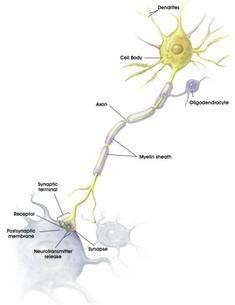 Some MNDs, such as primary lateral sclerosis, are not fatal and progress slowly. Patients with spinal muscular atrophy may appear to be stable for long periods, but improvement should not be expected. Some MNDs, such as ALS and some forms of spinal muscular atrophy, are fatal. What research is being done for Motor Neuron Diseases? The National Institute of Neurological Disorders and Stroke (NINDS) conducts research related to the MNDs in its laboratories at the National Institutes of Health (NIH), and also supports additional research through grants to major medical institutions across the country. Much of this research focuses on finding better ways to prevent, treat, and ultimately cure disorders such as the MNDs.